El Deafo is a really good book. It is about this girl who one day goes deaf. She can’t hear anything so she goes to the doctor. The doctor gives her really high tech hearing aids. This is a story about a girl named Cece that becomes deaf at 4 years old and she has to live her life that way for the rest of her life. This book is about a little girl who loses her hearing at a young age so all through school she has to where a hearing aid and she is embarrassed by the hearing aid because she gets picked on. Everyone laughed at her.she could not even go to a party with out someone talking to her like a robot. You will have to read the the book to find out more. This book is AMAZING!!!! This book is about a girl that is deaf and all she wants is a best friend. Read to find out if she finally gets what she wants. This author is a great author. This book is a grafic novel about Cece Bell and how she lost her hearing & had to wear a hearingade & Cece had to wear a special hearingade to school. I loved this book you should read this book. I totaly recamend it. I loved this book it was one of my favorites. It’s about a girl that is hard hearing and learns how to get through all the challenges in life. You should read it! This action packed graphic novel is amazing. The Crossover: 2015 Newbery Medal Winner! 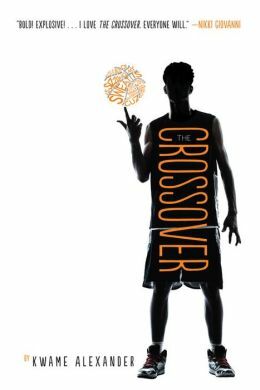 Remember when we mentioned a book called The Crossover by Kwame Alexander as one of the most talked-about books of 2014? And then remember when we mentioned it just a few weeks later as a finalist for this year’s Cybils Awards? Well, guess what — now we’re gonna mention it AGAIN because apparently the universe just can’t stop with this book already! 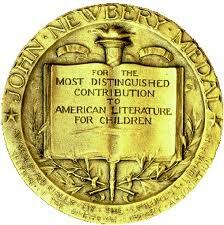 As announced yesterday, The Crossover is winner of the 2015 Newbery Medal! So basically, this book is like the equivalent of a movie that’s been hot all awards season and then it goes and wins the Oscar for Best Picture. Way to go, Kwame Alexander! As you can tell from the cover, this book is about basketball. But also, it’s about family and dealing with tough surprises and growing up. Through verse with the energy of rap, Josh narrates his life on and off the court with his twin brother, JB. It’s worth mentioning that The Crossover was also named a 2015 Coretta Scott King Author Honor Book. 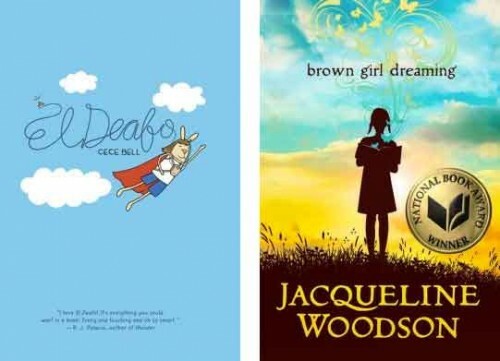 Each year, the Coretta Scott King Awards recognize an African American author and illustrator of outstanding books for children and young adults. So, yeah… I guess you could say this is a pretty darn good book. And actually, Brown Girl Dreaming won the Coretta Scott King Author Award this year. 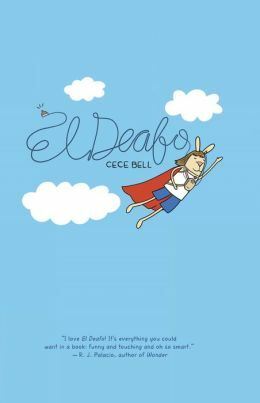 And El Deafo is a Cybils finalist. And both of them were part of our Best of 2014 round-up. So I think it’s safe to say these are pretty darn good books too! So read them! Or have you already read any of these books? Leave a comment and let us know! This is an AMAZING autobiography of a deaf child! I think this should win the newbery medal this year!